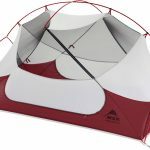 What Size Tent Should I Buy? This is definitely one of the key questions to ask yourself during the research process for a new tent. 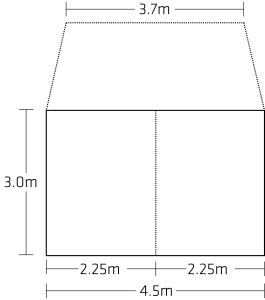 The tent size will vary depending on the type of tent, what you want to use it for, and personal preferences. However, we hope the below information will provide you with the ammunition you need to decide what size is best for you. Depending on how deep into your research you are, you may have noticed that every tent comes with a capacity rating. If the name of the tent includes a number (usually between 1-10), this will almost always relate to the capacity i.e. the number of people the tent is designed for. Be warned – there is no universal standard for capacity, so one 2 person tent may be slightly bigger or smaller than another. However, you can be safe in going by the rule that if at maximum capacity, you will be very cosy, and would usually need all companions on thin hiking-style mats. If you are transporting your tent by vehicle, you intend to keep all your gear inside the tent, and you will spend at least a small amount of time inside it, a general rule is to divide the capacity by 2. A 4p tent is a great size for a couple with a double air mattress and their gear. Likewise, a 10p is perfect for a group of 4-5 adults or a family group of 5-7. If you are indeed hiking, where weight is of utmost importance, and the tent is simply a means of shelter from the elements, most people would be happy to run with the ratings provided by the manufacturer. If you are intending to utilise the full capacity of a hiking tent, ensure it provides adequate vestibule space for all parties gear. Your floor areas seem ridiculously large here. For example the Blackwolf Turbo Lite Cabin 450 is rated 10 person and has a floor area of 13.5 square meters.